Arduino development boards are great devices for embedded control. At the low end are the low cost ATMega328 based Arduinos, such as the Uno, Nano, and Pro Mini. At the other end of the scale there are the high priced but more powerful Arm based devices, such as the Due. 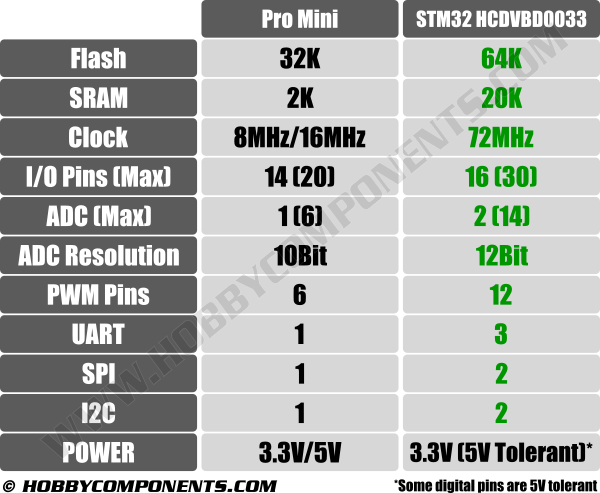 But sometimes your application may call for a board with the power of an Arm based device but with the low end cost of a Pro Mini or Nano. In these cases there are of course a large range of alternative microcontrollers; however, these tend to be aimed at the more experienced user and require a deeper understanding of the inner workings of both the microcontroller and their programming tools (IDE). 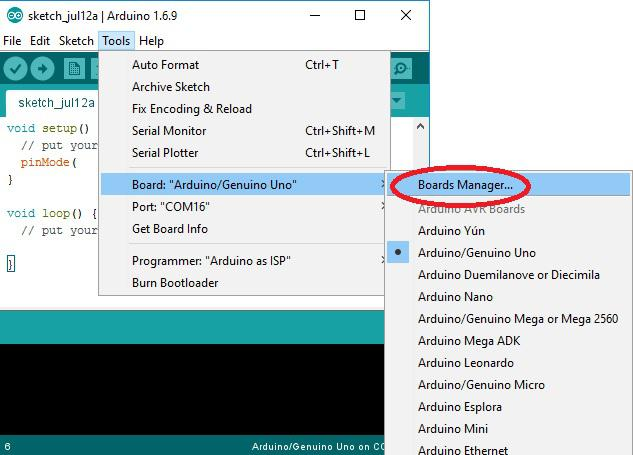 In this tutorial we’ll show how to quickly set up your Arduino IDE, test your setup and upload the standard ‘blink sketch’ to the STM32. 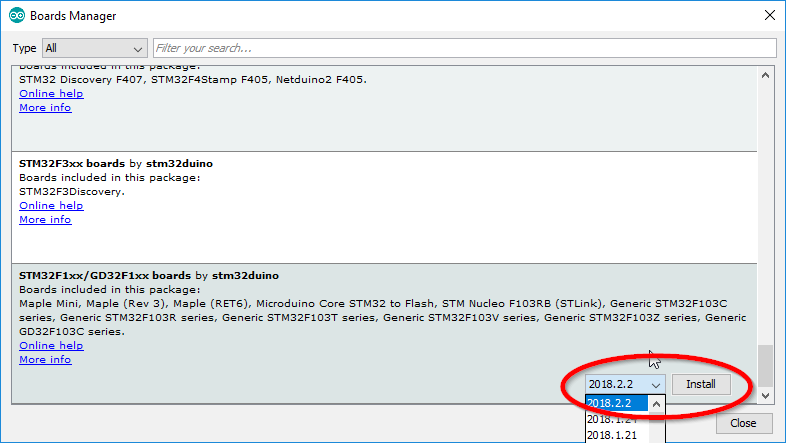 Note that although this guide can be applied to many ST32 variants, it has been written for the STM32 HCDVBD0033 (aka ‘black pill’) development board. An STM32 development board such as this one: HCMODU0033 STM32F103C8T6 (Black pill) Development Board available here. 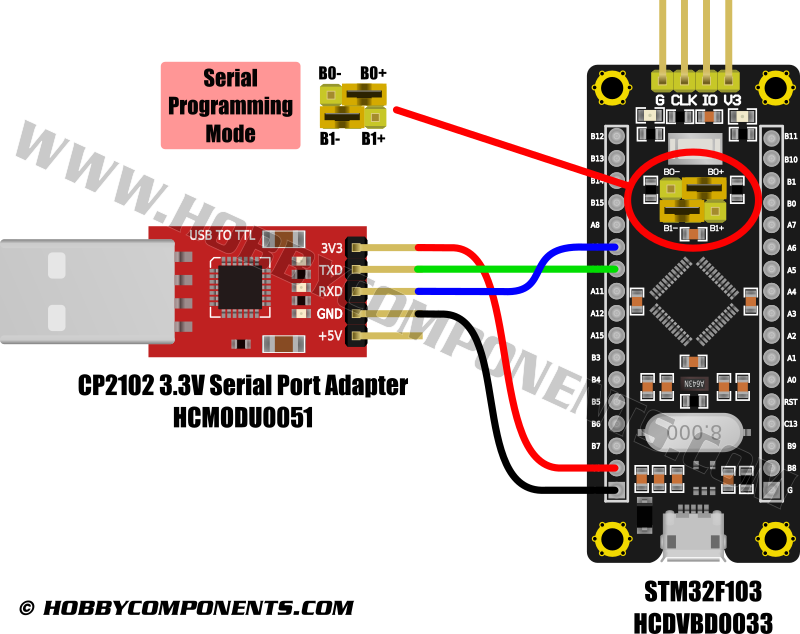 A USB to serial to 3.3V TTL adaptor such as this one: HCMODU0051 CP2102 3.3V USB to serial port adapter available here. The Arduino IDE which is available to download for free here. A new window will open up. In this window you will see a text box labelled ‘Additional Boards Manager URLs’. 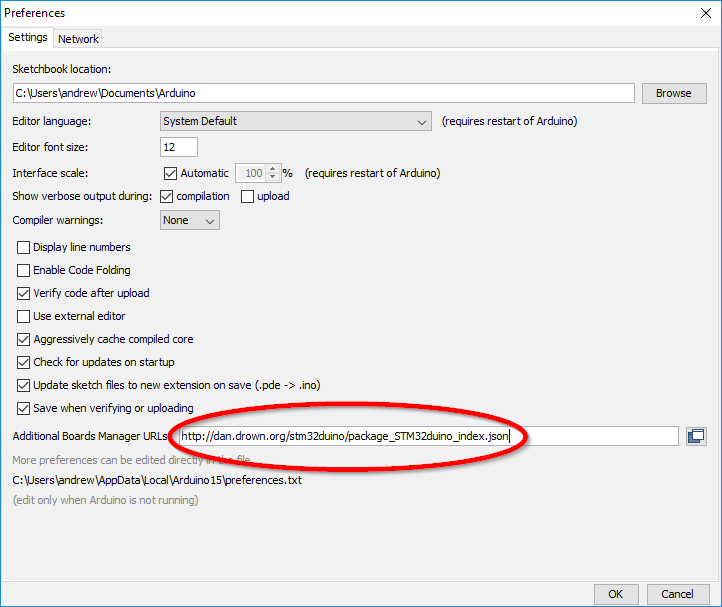 In this text box we need to paste the URL from where the Arduino IDE can download the additional board support files for the STM32. Credit: These files have been kindly provided by Dan Drown (http://dan.drown.org). If there are any previous URLs listed, just add the above line and separate it with a comma. Now plug your USB adapter into your computer and select its COM port via Tools → Port. One final step before we can upload a sketch is to put the board into its bootloader mode so that it can accept the uploaded sketch via its serial port. To do this put the yellow B0 jumper into the B0+ position (see above image). The jumper must be kept in this position when programming the board. Once the sketch has finished uploading it will automatically run. However if at any point the board is reset or power removed whilst the jumper is in this position the uploaded sketch will be erased. To stop this from happening you must put the B0 jumper back in its B0- position. 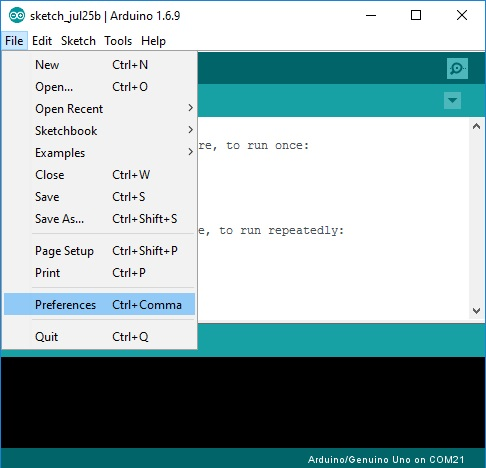 With the Arduino IDE set up and the development board connected to your computer you can now upload the blink test sketch. So that we can see the sketch running we’ll use the pin connected to the on-board LED which is connected to digital pin PB12. You can use the modified blink sketch below. Just cut and paste it into the Arduino IDE window. If everything is set up correctly it should now be a simple case of uploading the sketch by clicking the IDEs ‘Upload button’. If all goes well the IDE will compile the sketch and upload it to the board and the on-board LED will start blinking.